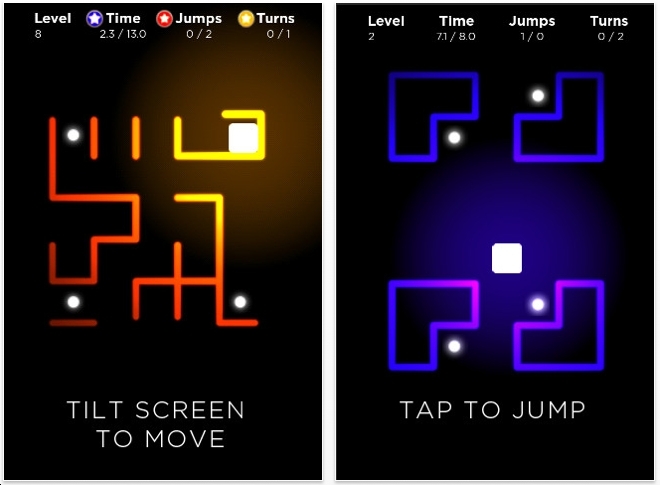 Neon Zone is a free iphone ipad puzzle app. Keep your device horizontal. Tap anywhere on the screen to place your cube. Then glide it by tilting to capture all the lights. Very slick graphics. Fun too. But not puzzley enough for me. 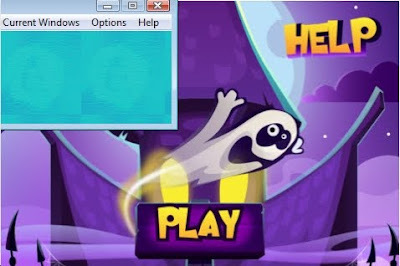 Mixt has great graphics, download it just to check that out. The object: drag the colored balls to the matching holes. Combine balls into bigger balls for more points. Definitely cool. But more action than puzzle. Cast Marble comes from Oskar van Deventer & Bram Cohen. The object is to separate the 4 pieces and then restore them. Yowsa, this one is fun. Buy a couple of them - one for yourself and the other as a gift to your boss. Previously, I bemoaned the fact that my high score of 1.7 millon could not be recorded by the game center because I was not on-line. Recently, another Tripevo player named Tophe490, scored 913,759 points. He or she must have thought they were closing in on my top score of 1.4 million. Imagine their surprise at seeing my new high score of 2,273,930. Note to Tophe490: I am now retired from Tripevo. Best of luck in catching up. Update 1/29/12: I just got 2.4 million. Crazy Cubes is similar to TEC and to Hex-A-Hop. The object is to roll your cube over each of the green tiles once and only once to destroy them. A big red X tile: roll over that and you have 5 seconds to get out of the way before it explodes itself and the surrounding 8 tiles. Will this make the famous Best Puzzle Apps List of 2012? Maybe. It came out in 2010, but I just discovered it, so yes it will count for 2012. 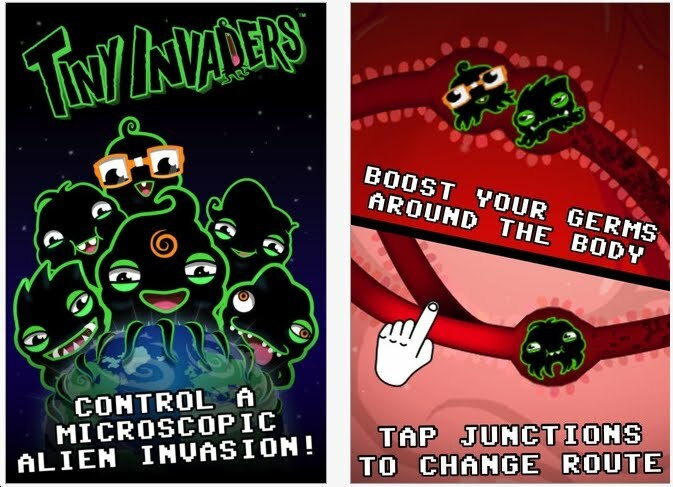 I played Tiny Invaders about 6 months ago. 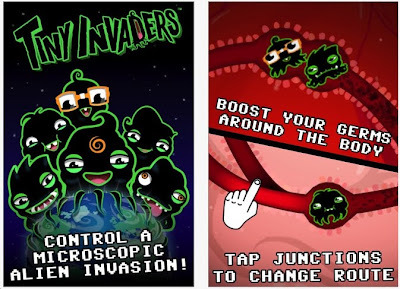 The object is to manipulate the virus to infect the person. It's half puzzle, half arcade. The Hogrocket public relations man, Pete Collier, recently informed me of an update. So I'm informing you. As I said in my review 6 months ago, it's not the greatest puzzle app, but it's fun and worth your time. 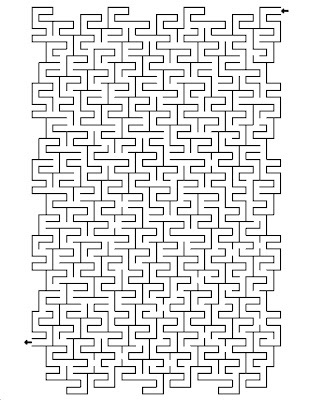 Splinter J. Spierenburgh recently contacted me about his book of mazes. They look like fun and I will definitely print these out. He also told me that he's looking into making a physical maze puzzle - possibly later this year. 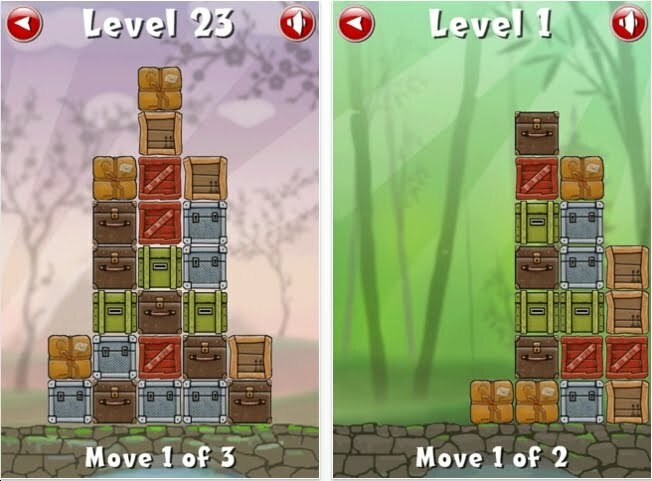 Crate is exactly the same as Move the Box: scroll down a few inches to see that review. The puzzles are exactly the same too. 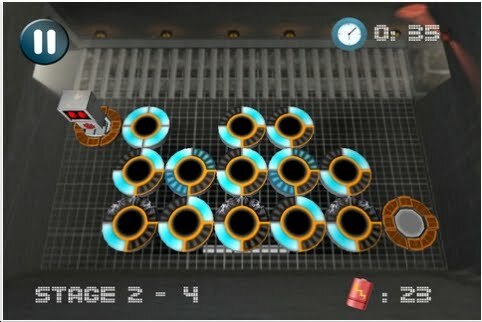 Object get 3 in a row or column to make them explode and disappear. When that happens, the boxes above will slide down. 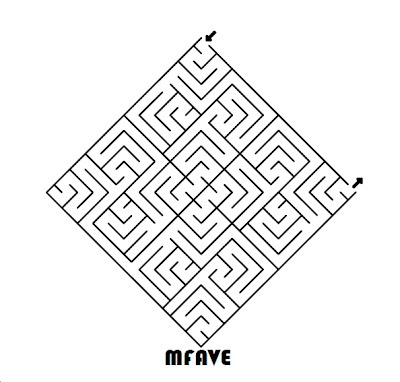 You must solve each puzzle within the given number of moves. Challenging? Some are really easy. 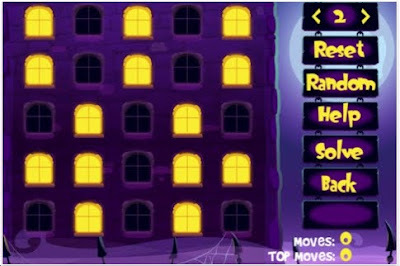 Others: surprisingly difficult - even when they can be solved in just 2 moves. I have solved about 50 of the puzzle levels. Tomorrow's review will be of a similar puzzle. Viktor Reutskyy is the author of Move the Box. This could make the list of best puzzle apps of 2012. I first got this puzzle in 2003 at the International Puzzle Party that was held in Belgium that year. That was the plastic version which was called Mysterians. It broke too easily and I foolishly let a non-puzzler handle it. This metal version is indestructible! The object is to separate the pieces. You may find this hard to believe, but there is mathematical element behind it. From the mind of Oskar van Deventer. 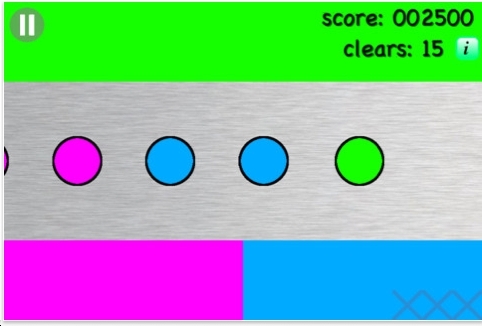 Ellipsis: colored dots scroll onto the screen. Your task: drag them into the corresponding colored rectangle. This was categorized by the App Store as a puzzle, but it's really an arcade action game. It's fun! 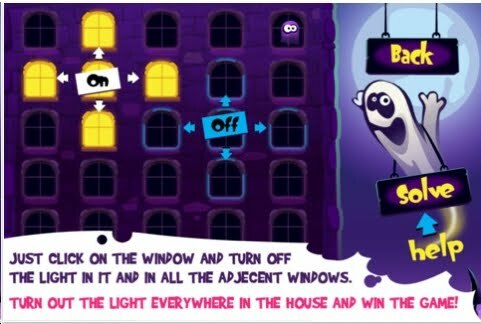 This is another Lights Out type puzzle. However, the graphics are absolutely charming! I highly recommend looking on ebay for the Tiger Electronics version: Lights Out, Lights Out Cube and Lights Out Deluxe. 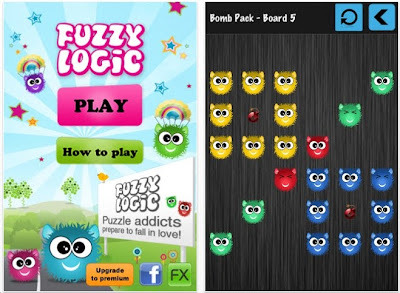 Fuzzy Logic is a great puzzle app! 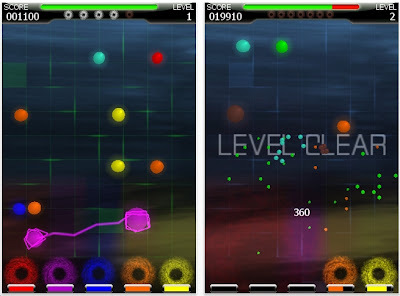 It is very similar to Lunar Lockout, Fling, and Frogiz. 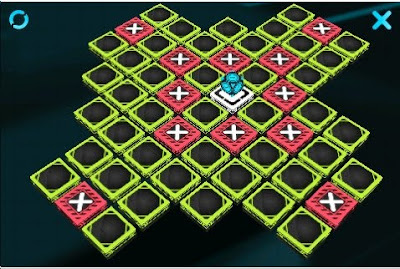 The object is to eliminate the board with matching colors. Blue will cancel with blue. But blue will combine with red to make purple. Like Lunar Lockout, blue will stop at the space just before green, or purple. I think it's hard for me to really show you what Fuzzy Logic is all about. Just go ahead and download it, there's a free version. I have the premium version which has all the level packs. I couldn't stop playing it! Jokers can explode any color. A bomb destroys the colors around it. Fuzzy Logic, so far, is the best puzzle app of 2012. 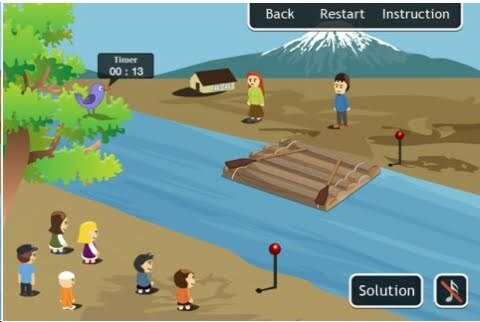 There are 3 puzzles here: get everybody across the river given the different parameters. Two of these, I've known about & solved ages ago. They're all good. The graphics are minimal, but that's okay. There should be a 4th puzzle added: 3 explorers traveling with 3 cannibals and the explorers can never be outnumbered by the cannibals. It's another classic. 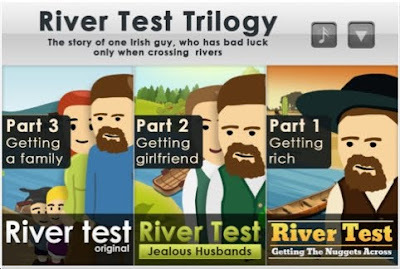 The free version of River Test Trilogy has only 1 puzzle available - but it's tough! I've given it to my students over the years. 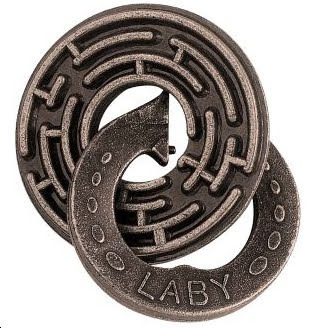 Cast Laby was invented around 1900. 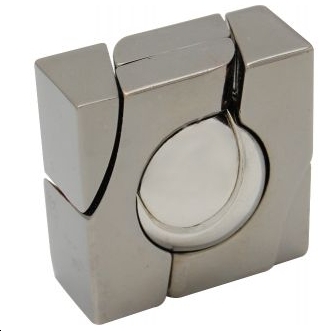 The object is to separate the 2 pieces. 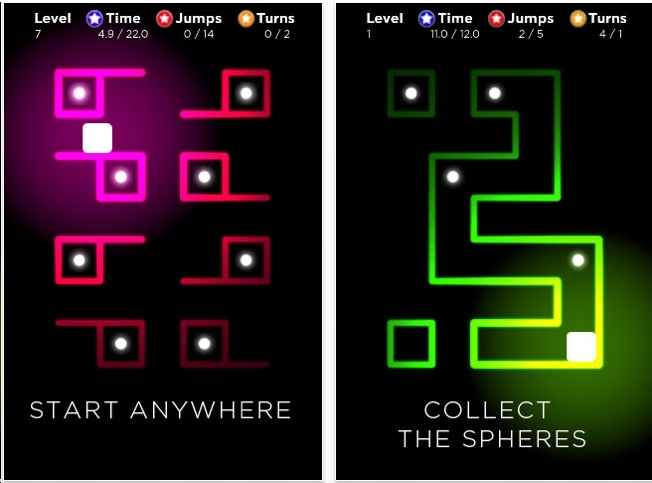 One disc has 2 different mazes on each side! The other disc has 2 pins - one for each maze. 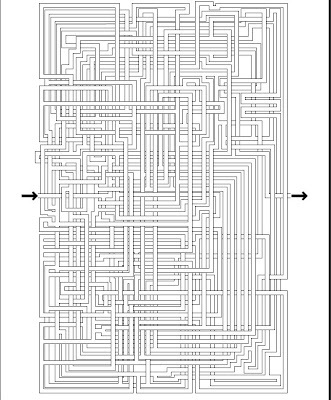 This is a terrific puzzle. It's not easy! It took me about 1 hour to solve. Bits and Pieces used to make this puzzle in brass. However, their version was not an exact duplication; this made the puzzle much easier with an unintended solution. 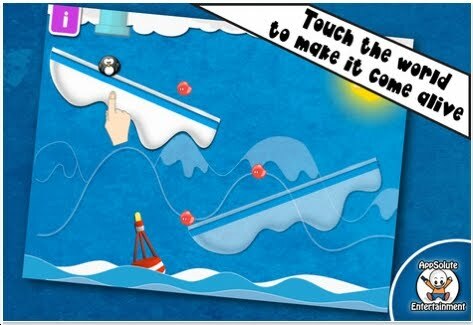 Penguin Glide: tap on the ice floes to make them solid. The penguin can then land on it or bounce off it. Basically, the idea is to guide your penguin to the buoy. Cute graphics. Strictly for kids. 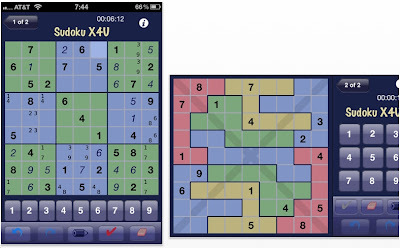 Here is another free sudoku puzzle app. This one has 'jigsaw' sudokus, which another company calls squiggly sudokus. 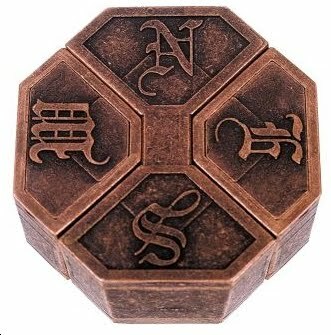 I really like those; I'm tired of the standard sudokus. I still feel that sudokus should be solved with pencil on paper. Call me old-fashioned. 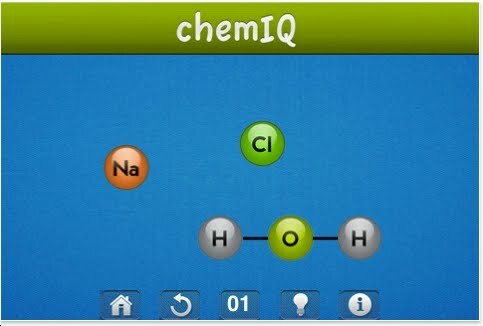 Object: cut the bonds and form new compounds. 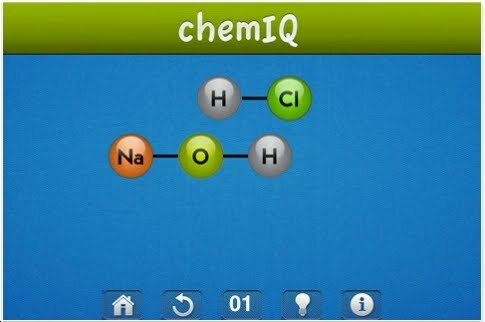 Probably good for chemistry students! 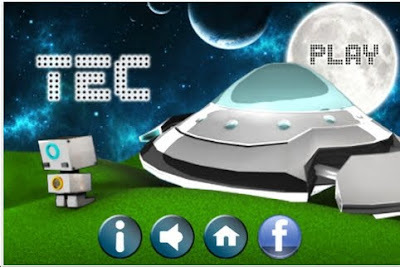 TEC is an interesting puzzle app that is very similar to an online puzzle known as Hex-A-Hop, which I absolutely love. 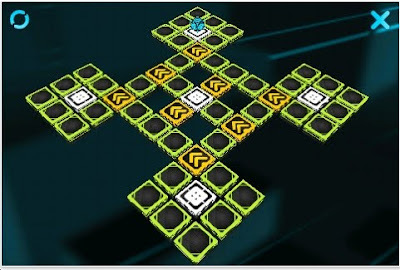 The object: drag the robot over each tile to light them up. 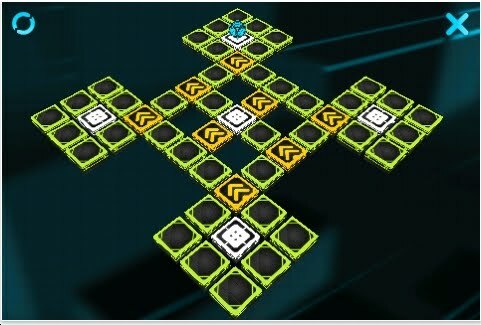 On some levels, the robot must pass over the same tiles more than once. I would love TEC except for one thing. 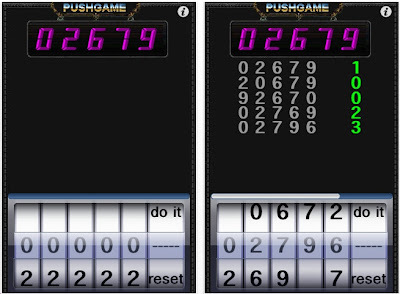 There's a time limit for each puzzle. Also, the robot does not move as quickly as my finger is swiping or tapping. 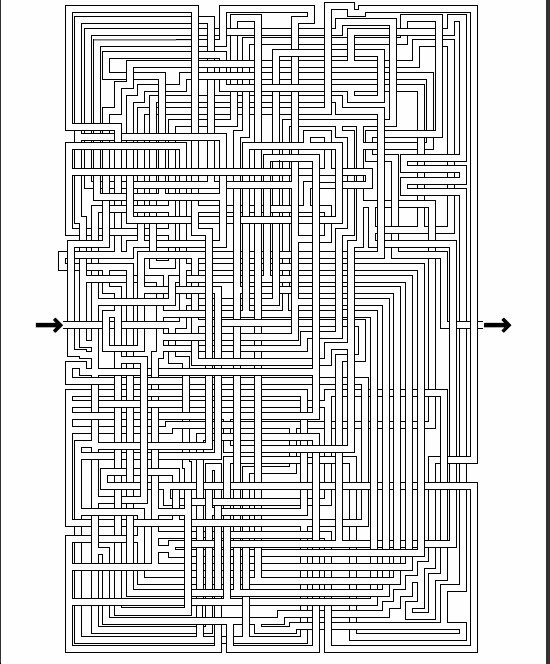 Otherwise, this is a fine set of puzzles. 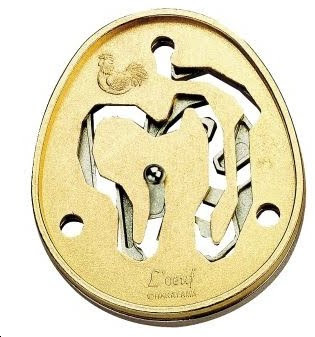 I was fortunate to know the inventor of this puzzle: Nob Yoshigahara. Nob invented this when he was just 19. The object is to separate the 2 halves. Each piece is identical. This puzzle has been made in many forms by unscrupulous businessmen. This form, in metal, is the best rendition. 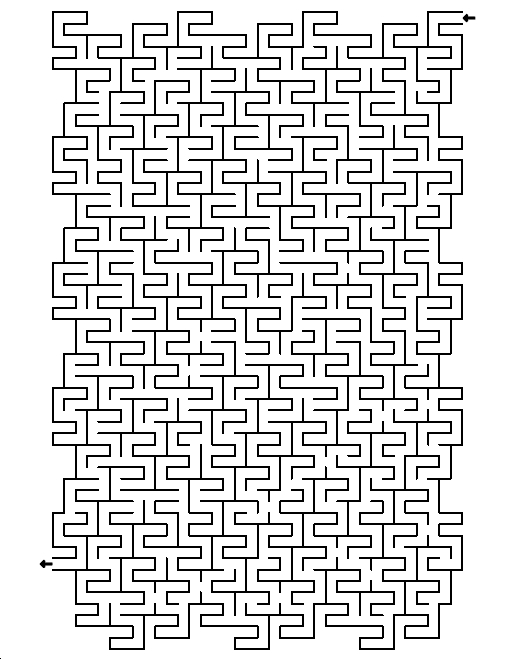 I solved another rendition by using an alternate method, which would not work on this model. Highly recommended! Buy 2 copies: one for yourself, and one as a gift. We've seen this type of puzzle a million times. This one has many levels: easy to difficult. Hey, it's free. 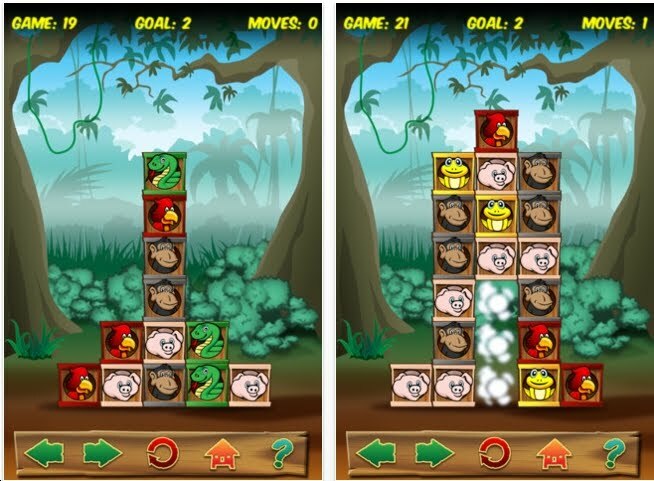 Will this make the Best Puzzle Apps of 2012 List? 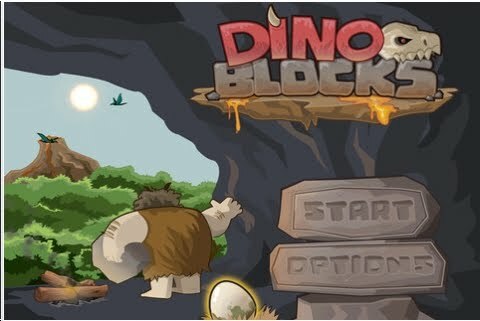 Dino Blocks is very similar to Angry Birds. You are given a slingshot that must be placed within the given circle. 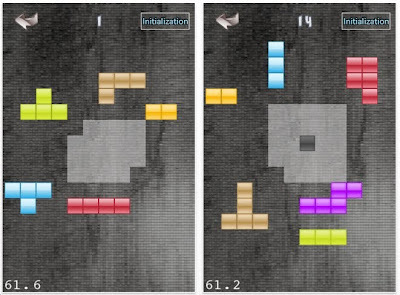 Aim to knock off the the red blocks while leaving the green blocks unharmed. I'm not a fan of Angry Birds. But if you like that, you should definitely try Dino Blocks which is a free puzzle app. 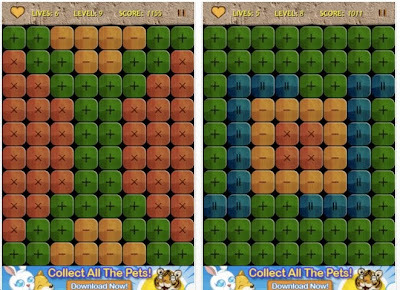 Will this puzzle app make it onto the list of best puzzle apps of 2012? I'm hoping that better puzzle apps will arrive. The object of MagyPath B.C. is to find a route from the bottom to the top. Start on a green tile and work your way up. Blue and red tiles are forbidden. A yellow tile will cost you 1 life. Here's where it's a bit weird: each time you step on a tile: green or yellow, some of the other tiles change color in a random order. MayPath B.C. has gotten some very good reviews. I've played the first 30 levels. I can see where it's addicting, but I'm not feeling it. But you might. 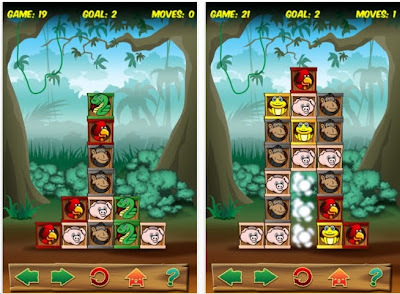 So go ahead and download it - it's a free puzzle app. Will this make it onto the 'Best Puzzle Apps of 2012'? I'm hoping better apps will come along. 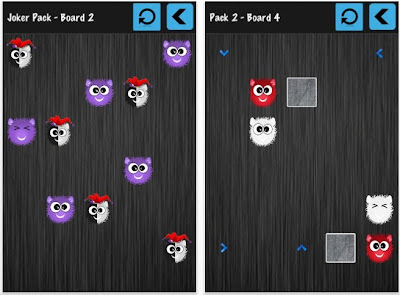 Picklock is a free puzzle app from Wang Subo. It's very similar to Mastermind. Object, try to arrange the 5 numbers in the correct order. The given numbers are listed on top. Good for kids. Will this make the final list of best free puzzles apps of 2012? No.